Your students will be fascinated as they perform both physical and chemical analysis of handwriting materials found at a crime scene. 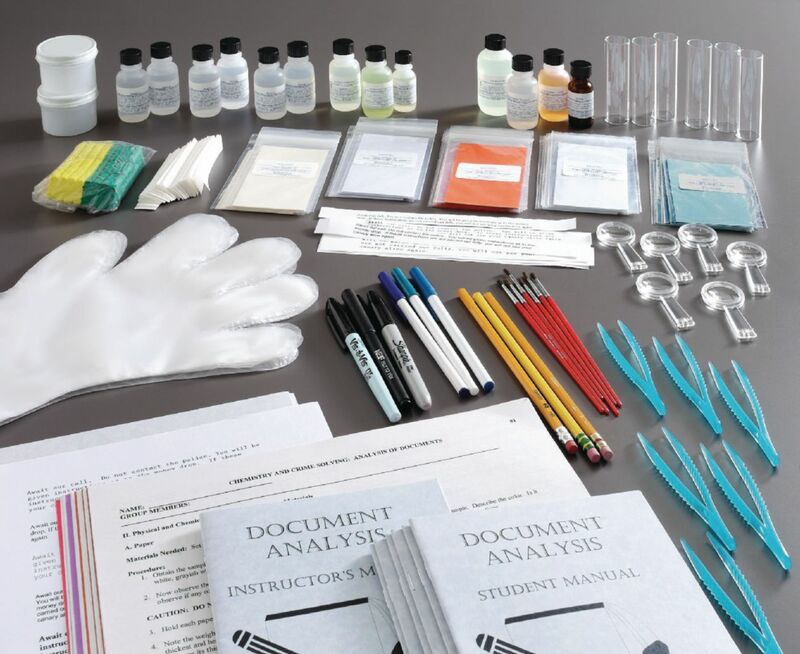 The procedures they will follow cover checking for erasures, abnormal positioning of a signature, use of different inks, and differences in handwriting or typing. It comes with enough materials for six setups and an instruction manual. A UV lamp, required, is available separately.